About SJF Material Handling Inc.
» About SJF Material Handling Inc.
Our mission is to provide each SJF client, large or small, the personalized service, innovative products and tailor-made solutions they need to be more competitive than the competition and to assure each client of our relentless dedication to providing the equipment and services needed to make their business grow and prosper now and into the future. Straight answers to our most commonly asked questions about the material handling industry and material handling equipment. When you sell as many lines of equipment as we do, you can believe that we hear a lot of questions, not only about our company, but also about the new and used material handling equipment we buy, sell and install. The staff at SJF provide answers to some of the most common questions we hear from our site visitors. Q I see many material handling websites making a lot of outrageous claims. How do I know who is telling the truth and which are trustworthy to work with? Let's face it... you only get one chance to make a good first impression! We like to think that if given the opportunity to earn your business, we'll make you glad you did! This past year we received hundreds of verified customer reviews rating us 5-out-of-5 star ratings for our products and services. In 2018 we had a record number of existing clients recommend us to their friends, family and others within the business community. For us, that's the true test. Trustpilot is a nationally renowned review authentication service and has registered more confirmed 5-star reviews for SJF.com than any other material handling equipment distributor nationwide. For us at SJF, that's pretty exciting stuff. In 2018, the Better Business Bureau (BBB) once again issued SJF their highest A+ rating. We're also a member of MHEDA, the Material Handling Equipment Distributors Association. In the end, it comes down to saying what you do and then doing what you say. It's about having a great team of people who are both talented and love what they do. It's that philosophy that has allowed SJF to grow into at 40-year old success story. We're a family-owned and operated business that proudly serves over 70,000 clients, both nationwide and abroad. Q I need several items, but I have never purchased material handling equipment before. How do I know what products and sizes I need? Most people don't buy material handling equipment every day. Most are not familiar with all the options available. Here at SJF, we have 10 inside solution specialists manning the phones each day, ready to assist you in every way we can. Most have over a decade of experience working with companies both large and small. They can help you design, outfit or install just about any system for any industry out there today. Our sales and solutions specialists are versed on what products will work best for your specific need and our engineering and consulting staff are more than happy to assist you in choosing the various products and options available. At SJF, we strive to work within your budget. We suggest materials that allow you to update and modernize your operations to grow as your business grows. 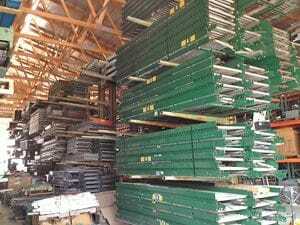 Q Isn't all used pallet rack and conveyor equipment just a bunch of old rusty junk? 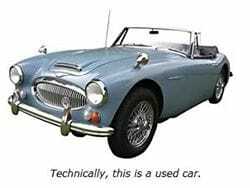 That's like saying all used cars are nothing but junk! It's simply not true. While some equipment offered is old and worn, there is plenty of good used equipment capable of providing years of service priced 40-80% off new prices. For those willing to do the research, these products provide users a tremendous value. It's our job to work with our clients to find these quality products for them in the used marketplace. Those that take the time to do their homework will find our reputation is second to none within the industry for finding and providing quality products and services for our clients. 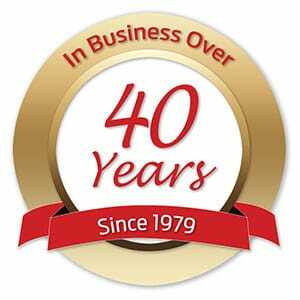 2019 marks SJF's 40th anniversary of successfully finding, supplying and integrating new and used equipment for clients nationwide. Q I see SJF offers reconditioned material handling equipment. What does reconditioned mean? All reconditioned material IS NOT created equally. Chances are, you already understand the basic differences between used and reconditioned equipment. The problem is that "reconditioned" can be a very vague term, covering anything from a quick paint job to a complete rebuild. At SJF, our reconditioning process is unique – we call it "Renewing Equipment." Our renewed equipment process is a very specific program of disassembly, evaluation and comparison to the original specs, re-engineering to the new application, assembly and cosmetic treatment. This kind of work is our specialty. The process is very detailed and thorough; utilizing methods and techniques that were developed over three decades of experience. The difference between us and our competitors is that the "renewed" label tells our clients exactly how much value has been added, and just how close to "like new" our equipment will look and perform. Q I've heard some people who claim to have had a bad experience buying used material handling equipment. How does one find a credible supplier that will deliver quality products? As in any industry today, there are good and bad players. When it comes to finding a reliable supplier, a little research goes a long way. To properly service clients in today's marketplace, you just can't work out of your home with nothing more than a phone and a good sales pitch. With SJF, you get a company that has been providing new and used material handling equipment for 40 years and counting. 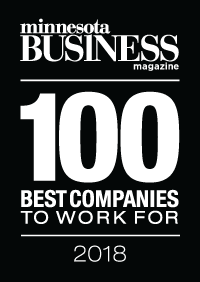 SJF is A+ rated by the BBB and in 2018, for the fourth time, was recognized by Minnesota Business Magazine as one of the state's "100 Best Companies To Work For." SJF's staff of sales and solution specialists on average have 10+ years of experience in the material handling industry. Each and every one of SJF's clients can rest easy knowing a full-time qualified design, engineering and sales staff is always only a phone call away. Lastly, contrary to other material handling companies, SJF has literally hundreds of verified customer reviews available to view. Finding the material handling equipment you need, when you need it. With over 24 acres of used material handling equipment, you'd be hard pressed to find a more reliable source for quality product and fast service. Many dealers simply broker equipment. In essence, they advertise equipment they neither have nor own. SJF does not broker other people's equipment. SJF only advertises equipment it owns. We encourage any client to come and personally inspect any product SJF offers for sale at any time. We can send pictures of any product we have and our sales staff is trained to give every client a true and honest assessment of any product we offer for sale. Our reputation depends on it! Q Our company has a policy of only buying new products. What can SJF offer that your competition cannot? If for any reason you ever decide to sell a product you purchased from us, we'll buy it back. We guarantee it! Now, isn't that the true test?